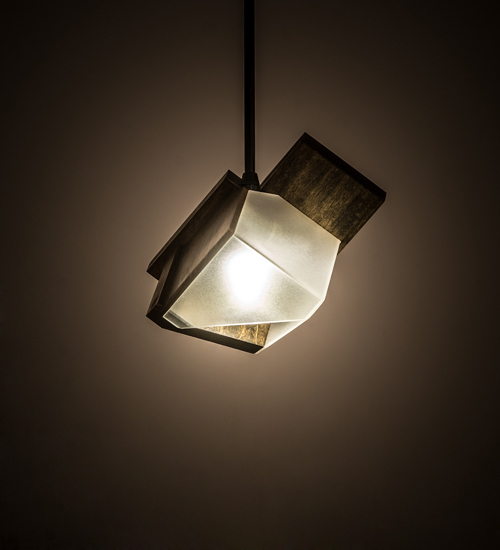 Description: This uniquely styled rustic design features a mini pendant that reveals Contrail Mist Idalight diffuser enveloped by a Walnut panel frame and complemented with Black hardware. The 9.5-inch wide Fagelholk fixture is custom crafted by highly skilled artisans in our manufacturing facility in Upstate New York. This mini pendant is available in custom styles, sizes and finishes. Dimmable energy efficient lamps such as LED are also available. The fixture is UL and cUL listed for dry and damp locations.